One of the major economies in America, Wisconsin has thoroughly remained a diverse state comprising of different businesses across sectors. Being a leading dairy producer, Wisconsin is famous around America for its cheese. The other major industries in Wisconsin include manufacturing, paper products, information technology, and tourism. With business-friendly policies and laws, Wisconsin has several small businesses doing well in the market. The internet has strongly helped people to start businesses from home without any major investment. If you wish to start a business from home in Wisconsin, here’s a complete guide on how you can start a successful business. Here are some of the top businesses you can start in Wisconsin from your home. The online coaching industry is growing exponentially. While people of every age group is now learning something online, you can teach other people and get paid. From editing photos to playing the guitar or to prepare for SAT, you can start to offer online coaching. Companies are now avidly investing in social media to bring in new customers. You can help companies to manage their Facebook, Twitter, or Pinterest and you will be paid to put your expertise to work. You have to create campaigns and use different methods to attract the audience. Teaching remains one of the best-paid professions in Wisconsin. There are teachers who are making more than $100 an hour with a few years of experience. If you are good in any subject, you can start to teach online or via offline classes. Wisconsin is a leading dairy producer. The state is famous around America for its cheese. You can start with dairy farming and then can move to cheese and other dairy products. If you wish to start a food business, food truck remains a feasible investment. Firstly you don’t need to invest much, and with a food truck, you can move whenever you want to. The investment is relatively low, while you only require a few licenses and a couple of cooks to start your business. People in Wisconsin are now finding better alternatives to stay fit. After the gym and other activities, yoga remains a top choice. You can hire an instructor to start a yoga studio at home. You can even complete a yoga course on your own to become a licensed trainer. The demand for daycare services in Wisconsin is growing day by day. There an only a few limited daycare facilities. While you can start as an individual, within a short time you can have your own facility. The services are well-paid, and you also get to spend quality time with toddlers and aged people. A majority of the working population of Wisconsin is into salary based jobs. Individuals find it difficult to choose a career path, often they need help to start something. If you are professional, you can help young people choose a career consultancy and can offer services in the state to help students. If you are someone who is good with taxes and finances, it’s time to go professional. Do an online course and get certified to become a certified financial planner. Start with free advice and gain some experience. Soon you can start to charge your clients to help them save tax and find better investment opportunities. There are only a few licensed facilities offering babysitting services. You can start to babysit professionally. Start working as an individual before you start a facility on your own. You can charge parents on a per hour basis. This can be a good side business if you are a student or freelancer. If you love to write, it’s time that you take it professionally. 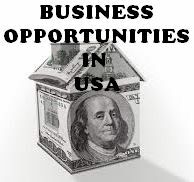 You can make good money and with a little experience, you will be paid really well for different assignments. If you are a beginner, start with a blog and then start approaching for work on Fiverr or Upwork. Having a proper business plan is important. This will help your business to perform well under different conditions. Once you start to brainstorm different ideas, start working on a business plan hand in hand. Start with strategies, benchmarks, targets and the goals you wish to achieve. If you wish to start a business from home, the investment is very minimal. Wisconsin has a few investors and venture capital firms, so if you think your ideas can grow big enough, you can try to for funding. If you wish to finance your business, there are some great financing options available at attractive payback rates. Before you choose a business structure, you will need an official name to register your business. Go for something unique, yet mean. Try a business name generator for some suggestions. Register your business name with the US Trademark department and buy an online domain with a .com extension. Now you need to choose a business structure. To be legally operational in Wisconsin, you have to choose between a sole proprietorship, corporation, partnership, and LLC. Forming an LLC will come with added legal benefits and tax reductions. Now you need to apply for a Federal EIN at the IRS. The FEIN act as a social security number so that you can file for taxes separately. Federal EIN also allows you to hire an employee legally in the United States. To have to register your business with the Wisconsin Department of Taxation to be eligible for taxes. The licenses may vary from business to business. But generally, to sell tangible items, you will need a sales tax permit in Wisconsin. Selling services in the state may require a consumer’s tax permit. Now apply for a business bank account. This will keep all your business transactions in one place. You can also have a credit account for vendors. Set up an accounting system. Buy accounting software to make sure all your financials are in one place. Wisconsin has no mandatory insurance for any business, but it may vary. It’s better to have workers compensation insurance and professional liability insurance in case you are selling services in the state. Now it’s time to promote. Start with social media. It’s free and you can reach out to a wide audience via different social media channels. If you have competitors, it’s better to hire an agency to promote the business extensively. Wisconsin’s economy is diverse, having been backed by its laws and growing market. With a good business plan, you can easily start a successful business in Wisconsin within a short span of time.